In 2011, Faith Wanjiku was a young woman ghosting through life in Githurai, a low-income estate North of Nairobi. Fast forward to 2017, she feels that she faces a brighter future thanks to the knowledge and skills that she gained through DSW’s youth to youth programme in her community. 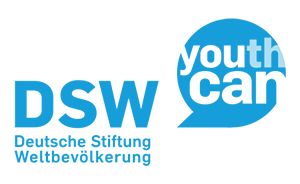 Youth to youth is a programme implemented by DSW based on the concept of peer-education. DSW facilitates and funds the development of country wide youth club networks that promote adolescent Sexual Reproductive Health and Rights (SRHR). Through these clubs, young people have access to sexual reproductive health and rights information, and education as well as economic empowerment. A friend introduced Faith to DSW at a time when the organization was conducting research with the intention of starting the youth to youth programme in her neighborhood. At the time, Faith was running a second clothes business with no academic or vocational certificates to back up her ability to run her business. She had very little knowledge about how to run her business well and did not know how to access credit to expand her business and therefore her income. “DSW trained us on entrepreneurship, sexual and reproductive health services, and business management,” Faith said. As she recollects what happened at the time, she explains that the skills and knowledge she acquired helped her run her business better. “I became aware of good business management practices such as record keeping. I also got knowledge about how I could access loans to expand her small enterprise especially the youth fund from the government”, Faith said. For many young women from low income neighborhoods in Nairobi, getting an opportunity to get an education, training and exposure traps them in the cycle of despair, something that faith is all too aware of. In 2015, the Nairobi City County government demolished her business premises alongside others, accusing Faith and other traders of occupying illegal structures. When that happened, Faith was forced to abandon her business. She dusted herself, got back on her feet and moved forward. She applied for and got her present job in 2016. “I did not have even a single certificate. I didn’t have the confidence to interact with people and present my ideas. Especially government officials,” she adds with a chuckle. That chuckle is perhaps a recognition of the irony of her present station in life. She works at a construction consulting company, which requires her to interact with different cadres of people. More often than not, she has to work with government officials. “Oh,” she quips, “I almost forgot about the sexual and reproductive health training. Very important. If young people are not aware of their sexual and reproductive health issues, they cannot make healthy choices. They will end up with unplanned pregnancies and STIs. Even if they got the opportunity to do something for themselves, they would not be able to thrive,” she concludes. DSW continues to run the youth to youth programme in Kenya. In 2016, the programme reached 5,030 young people, including 2,778 young women, in Kenya, with sexual and reproductive health information and life skills. These efforts led to improved health seeking behavior, with 6,468 young people accessing sexual and reproductive health services. As we join the rest of the world in marking international women’s day 2017, DSW Kenya is celebrating the achievements of women like Faith that we work with.